Gibson Benness Industries Pty Ltd have been distributors of quality products like Laminex and Formica to cabinet making, shop fitting, timber merchants, joiners, building and furniture manufacturing industries for over 50 years. Testament to our integrity and reliability GBI has established strong industry contacts in WA. Over recent years, GBI has introduced an exciting range of premium products to the WA market. These products, Quantum Quartz Engineered stone, Laminam large format tiles, Hettich hardware and Fenix NTM Nanotech Matt Material, are gaining much interest amongst the industry. GBI also supplies a selection of Australian and imported specialty plywood. FENIX NTM ® (Nano Tech Matt Material) is an innovative material for interior design: a smart, extremely matt, anti-fingerprint, very resistant, soft touch surface. 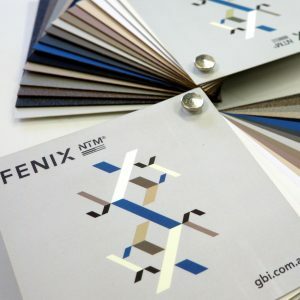 FENIX NTM is a super matt nanotech material, made with acrylic based resins cured with electron beam process. With low light reflectivity, its surface is extremely matt, anti-fingerprint and features a very pleasant soft touch. Thanks to the use of nanotechnologies, FENIX NTM is highly resistant to scratches, abrasion, dry heat, acid-based solvents and household reagents. Thermal healing of micro-scratches is also possible. The surface is very closed and can be easily cleaned. FENIX NTM is suitable for both vertical and horizontal use. 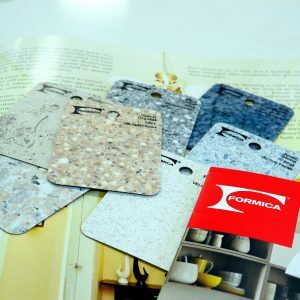 Our fresh designs come in a variety of colors to complement your home's unique aesthetics, and can be easily paired with Formica Laminate colors for mixing and matching materials in projects. The seamless integration of our Solid Surfacing material will give your kitchen or bath the finished and stunning smooth look you want. 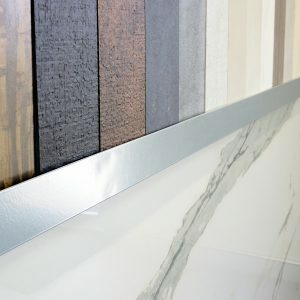 With an inspirational selection of styles, textures and finishes to choose from - beautifully designed to complement the Laminex range of benchtops and panels - Laminex Doors open up a world of possibilities. Ideal for cabinetry, doors, feature walls and furniture, they are available in a range of colours, patterns and finishes. When it comes to creating truly beautiful spaces, the difference is in the detail. That's why our splashbacks are so meticulously designed. And made ready for you to create awe inspiring interiors. 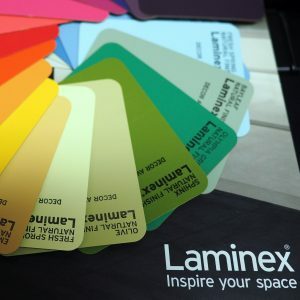 From uniquely personalised laminates to chemical resistant applications, Laminex goes beyond the basics to offer completely integrated and specialised solutions for almost any application. Engineered stone is a man-made product that dates back to the late 1980’s. The main component in engineered stone is quartz which is one of nature’s strongest minerals. 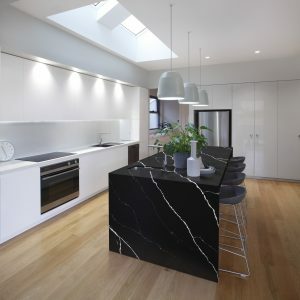 Quantum Quartz engineered stone contains more than 93% natural quartz, the remaining content consists of a bonding agent, pigment and additives that creates the over 40 different varieties of stone on offer. The most popular applications for Quantum Quartz are kitchen, vanity and other bench top applications as well as flooring. Quantum Quartz is the designer’s and architect’s choice for an application that is stylish, low in maintenance and ultra hygienic. It is ideal for residential and commercial indoor applications. Quantum Quartz is available in slab format which is fabricated to your specific needs by a stonemason. Laminam comes in large porcelain stoneware slabs, 3000 x 1000 reducing the number of joins and grout required. The large size, teamed with the lightweight nature resulting from the reduced thickness (only 3mm), makes Laminam ideal for kitchens splashbacks. Laminam is resistant to shocks and scratches, is water and oil repellent and also resistant to acids and UV rays. Laminam is very durable, easy to clean and hygienic since they are non absorbent. The slabs are natural and free from toxic substances. High breaking point and resistance to chemicals, frost, fire and UV rays add to the product's hard-wearing reputation. Hettich Group is one of the world's largest manufacturers of cabinetry hardware and fittings for both the residential and commercial market. 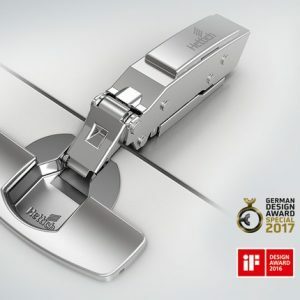 Hettich manufacture and supply superior quality hardware fittings and have been in the industry for over 125 years and are known for quality and innovation. Hettich has the ideal drawer system for every piece of furniture in every room, be it the kitchen, bathroom, bedroom or living room and naturally the office. Experience innovative systems with intelligent functions to match.